I’m hearing Get your motor runnin’. . . I think these are Celebes crested macaques, the same species that gave us all the famous monkey selfie. 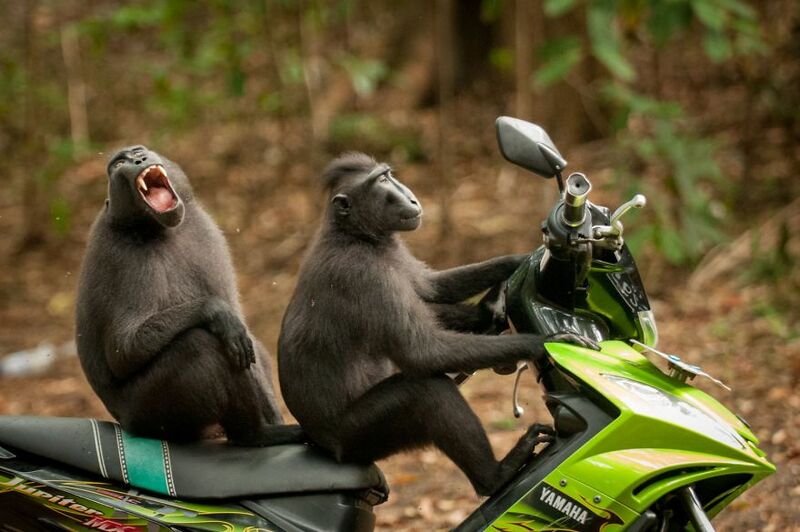 Anyway, more Comedy Wildlife Photo winners here.